I finished 2018 Man Booker Prize winner Milkman by Anna Burns and I have three thoughts. These are the remarks I’ll be given at the SPEP Advocacy Committee’s panel on Online Harassment at the SPEP Meeting at Penn State on October 19, 2018. Crossposted from the Great Lakes College Association Center for Teaching and Learning blog. On the Road. Again with Plato and Aristotle? Yesterday was the last of 30 days of me being alcohol free. I haven’t had a drink yet today, but I’m no longer holding myself to not drinking. I decided to take a break from drinking because I realized that my “I smoke when I drink” line had ceased to mean that I don’t smoke that often and had started to mean I drink a lot to accompany the cigarettes I want. It had become hard for me to have a drink without a cigarette. So really, I took the month off to stop smoking. I was surprised by what I learned. It is the listiest novel I’ve ever read. The lists become expected and rhythmical. I bet there are more “alsos” in this book than any other recent novel. Also, no one living has a name in this book, which I understand to be about the ways we are roles and relationships in our lives, often misnamed or underconsidered ones. The title character is not even a milkman, so there is another character named “Real Milkman.” I found it striking that in a book of characters named by the roles, the title character is not. In fact, the role becomes more of a nickname for him in a way that the narrator disallows for everyone else. Somebody McSomebody might be the closest someone else comes to having a name that is more of a nickname. And really, that was my favorite way of naming someone that seemed to perfectly capture their role and yet also to be about making the name a placeholder. At first, it wasn’t clear whether this referred to a specific person or just to any old somebody who did a thing that any old somebody would do. But later it becomes clear that this person is a particular person to whom particular actions are ascribed. And it also seems notable that this person is one of the most personally aggressive and violent to the narrator. I was asked to speak on this panel in light of my experience as a series editor at the APA blog. I edit the Women in Philosophy series on the blog. As a series editor and as someone who has been a woman in philosophy on the internet for many years, I’ve spent some time thinking about comment moderation, diverse and inclusive posting, and dealing with trolls. For the record, the views I am sharing here are my own and not mine in any official capacity as part of the APA. The GLCA Ancient Philosophy Research and Teaching Collaborative Initiative began in 2014 when several of us in the GLCA who work in ancient philosophy began a series of conversations about how we might take advantage of the resources we share across the consortium for teaching and writing in ancient philosophy. In particular, we thought that ancient philosophy was a good site from which to think about pedagogy since these ancient thinkers were interested in questions of what it means to learn and to teach. These thinkers take seriously the problem that the person who does not know tends to be unaware of what she does not know, so the learning process becomes a paradox: how does a person enter a learning process if she does not realize that she needs to learn? Realizing one needs to learn at some level involves already knowing that which one needs to learn because to recognize this point suggests you know the knowledge you lack is missing. How can you identify it as missing if you do not know it? If you know that you miss it and therefore in some sense know it, then you don’t need to learn it because you know it. Some in-between space is required which allows the movement from not knowing to recognizing ignorance and fostering a desire to know. The last several weeks have been difficult for many women. We saw a Senate accept weak lies from a self-entitled man. We saw many many people including for many of us, people we know, excuse accusations from a very credible witness because they didn’t reach the level of beyond reasonable doubt even though this is a job interview rather than a court of law, and even though people of color are robbed of the presumption of innocence when they are shot down by police. We saw a sitting U.S. President mock a woman for having honest memory lapses in her account of a traumatic attempted sexual assault. We saw, as Martha Nussbaum noted, white men and their supporters being outraged at being called to account for their bad behavior. Despite all the reasons that this nominee should have been disqualified, we saw a partisan push to confirm him as the next justice on the Supreme Court. I broke down crying twice on Friday when I realized this confirmation was happening. I cried because this confirmation sends the signal that elected officials in the U.S. government and many of their supporters do not care about the trauma women suffer from sexual assault. They think it is the nature of boys. They think it is not that big of a deal. They think women are weak for complaining. They are mad that women have been strong by speaking up. They think if sexual assault could derail a nomination then no man could be nominated. They think that would be a bad thing. It was a long time since I cried in the face of these realities. I’ve been thinking about why I don’t walk around emotionally distraught more often. It would be impossible to live if one let oneself feel how bad the oppression is all the time. In order to protect ourselves, in order to survive, people who experience not only oppression but the reality that their oppression does not matter, that it is not a concern to others, have to find ways to low-key ignore the oppression. Personally, I have to ignore the many many times men: explain things to me rather than recognize my expertise, assign my ideas to a man, try to shut me down and condescend to me in professional settings, make me feel like I am whining and complaining when I raise questions about diversity and inclusion, assign to me exaggerated claims about gender-related inequality in order to dismiss them. Together, we have to ignore the ways the Senate just conspired to silence women and make us feel like we are exaggerating our concerns. In order to protect ourselves, we have to ignore how really egregious it all is. From ignoring it in order to protect ourselves, it is a short road to start to think, for our own sanity, that it isn’t really that bad. If it were that bad, we couldn’t possibly deal with it. Since we don’t want to think of ourselves as victims all the time, since we don’t want to suggest that we aren’t strong enough to deal with things, and since we don’t want to acknowledge that yes this state of things continues to do real harm to us, we live and act as if it really isn’t that big a deal. We can still function. We are strong. We have not been undone by all the injustice. If this is the case, we wonder, perhaps it is not that bad. It can’t be that bad right? If it were, how could we go on? I think this response is a kind of self-care. But I’m concerned that this response approaches a place where it becomes acceptance for this behavior, allowance of it. I wonder even if the inability to deal with what it would have to mean for oneself and how really wronged one has been is what drives all these white women to support men like Kavanaugh. I think they are wrong. But I can see how that position is a short road from here. I want to say to all those women, you can still be strong and capable and they can still have done and continue to do great harm to you and to other women. Acknowledging the wrong does not lessen us as women. But acknowledging the wrong can make it hurt more. I don’t always have the strength for that. But I do have comrades-in-arms who can get mad for me when I just have to ignore the wrong. I am happy to be mad for my friends. I think an intersectional feminism involves feeling that hurt for others beyond our immediate place. Share the wrath. Stand up, fight back. I think it was last March now that I looked at the bricks on the street-facing front of the porch and thought, that paint is practically coming off of the bricks on its own-I bet I could scrape it down to bare brick! Jeff was away so no one was here to talk me down. I found a scraper and got to work. Forty hours and several months later, the first layer of paint was off, only to discover an unscrapable layer underneath as well as a wall in need of a serious pointing job. I should have left it alone. I am a little more than one week in to teaching my ancient survey. 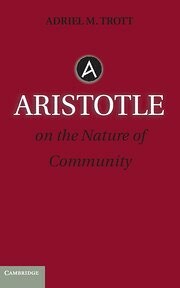 This is my second time starting with Aristotle’s Metaphysics. I know that sounds wild, but I think Aristotle sets up principles that make it easier for students to see what the Pre-Socratics and Hesiod are doing, and he gives us a lot of vocabulary for thinking about what counts as knowledge. My theme for the course as a whole as a search for a good measure. I like to frame the beginnings of Greek thinking as the opening up of and taking seriously of the question of whether we have or need proper measures for living and knowing. I teach Plato’s Euthyphro and Protagoras after Aristotle, the Pre-Socratics and Hesiod and then I come back to the Nicomachean Ethics at the end. I think it works well, but I’ve been trying to find ways to get students to engage more actively with the texts earlier on in the semester, especially since the Metaphysics is hard. I’ve also been recently inspired by colleagues at Ball State whose workshops I attended when I gave the keynote at the Conference for Pre-College Philosophical Engagement in April. Matthew Hotham and Jen Howland both ran workshops where they had students do an active exercise in order to think through some complicated concepts. Jen set up a capitalist regime where only she owned the means of production and the rest of us had to fight with one another, organize against her, get co-opted as law enforcement and snitches — what started as just a simple claim she made at the beginning articulating the terms ballooned into an intricate representation of how capital works including how it draws on principles of competition and insecurity in the community. It was very cool. I was not able to pull something like that off in the discussion of the law of non-contradiction. What I did was more like what Matt did in his group. First he asked students to define a religion. Then he gave out packets that included a slip of paper that described a religion and asked people to decide whether it really was a religion and to think about what standards they used to make that judgment. It forced students to think about why they used the standards they did and whether they should always apply.